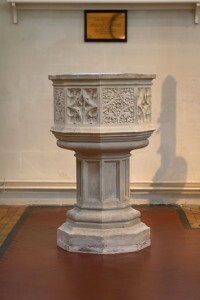 Our beautiful font at Holy Angels which came from the original St Dunstan’s Church in Woking. 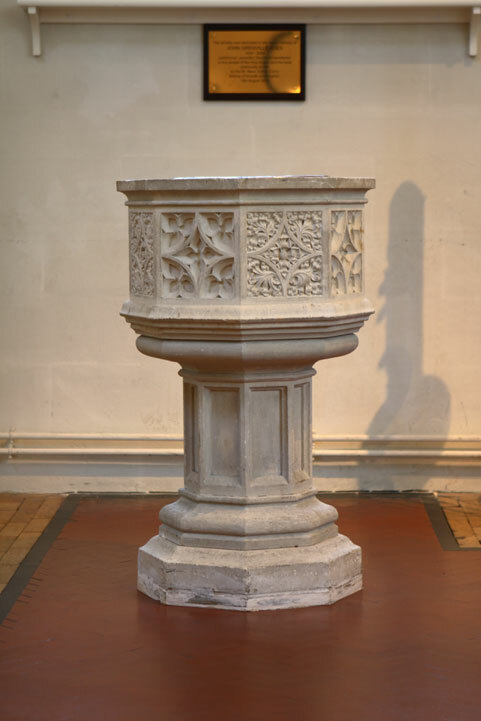 Why do we Baptise Children who cannot speak for themselves? The birth of a child often encourages parents to look anew at the things they value in life and their relationship with God. Loving Parents will seek to share with their child all that they have found to be of value in their own lives: respecting others, seeking to learn about the world and developing talents. Christian Parents will especially want their child to know that it is loved by God and that God cares for them as a loving Father as they care for their children and prepare them for adult life. In circumstances such as these it is natural for Christian Parents to wish to share their Faith and their love for God with their Child from the very earliest moment, and so a child who cannot choose for itself is promised in love by the parents and Godparents the opportunity to grow in Faith and in the love of God. Every Child as we know will choose for itself when it comes of age and that choice is expressed in a positive way in Confirmation when a young person accepts for themselves the promises that were made on their behalf at their Baptism. A real and genuine choice is only possible if a child has been given the knowledge and experience to make a choice. In the Baptism of an infant or small child that is the very special gift promised by the Parents and God Parents for the child entrusted to their care. God our Heavenly Father, we ask you to bless those of us called to be Parents or Godparents. We will be the first teachers of the child entrusted to us in the ways of the Faith and the knowledge of God’s love. May we be the best of Parents and Godparents bearing witness to the love of God in all we do and say.